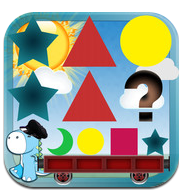 As our train nears 170 reviews, we are excited to hop on the recently updated educational app, Caboose: Learn Patterns and Sorting with Letters, Numbers, Shapes and Colors by developer AtReks. Your train conductor, a sweet looking dinosaur will offer you two tickets, one that will have you traveling around the United States as you learn about patterns and another that will take you across Europe where your little one will sort items and build their vocabulary. Go on this amazing journey as it was built to work on all Apple devices running iOS 4.0 or later. Which ticket will your toddler, preschooler or kindergartener take first? With their recent update, Caboose has implemented a wonderful new menu screen. The graphics and organization has truly improved since our last exploration and why our readers need to be aware of these updates and how it is applicable to you! Prior to becoming a first class passenger, it is important that an educator or parent explore the “cog” wheels or options menu in the upper right hand corner. Your train experience can drastically change as it meets your child’s learning needs. Within this menu, parents and educators will see how pattern content and type can be altered as it meets a number of academic needs. If your child struggles with certain fine motor skills, set the answer selection to either a tap or a drag/drop motion. As they cross new and unusual things, provide hints and select content that is appropriate to your specific child or student. Regardless of where the tracks may take them, verbal support and reinforcement is very evident. With the accommodations made by the developers, your child’s mobile learning experience can be done alongside a parent or independently. Travel by day and night as you piece together the tracks that will take you from the northeast all the way to the upper regions of the western part of the United States with every correct answer. Children will experience and reinforce six different types of patterns which are taught in the early elementary years. These various patterns, A-B, A-A-B, A-B-C will be incorporated with learning upper/lower case letters, shapes, colors and sounds. Visit some of the most famous landmarks like the Statue of Liberty, White House, and the San Francisco Bridge as you learn about patterns. A note to the developers – as the train leaves a location, might it be possible to fill in the icon on the map so children can make a real world picture connection. We see it as another learning opportunity and possible conversations with your student or child. Another possible suggestion would be at the end of their trip across the United States, might they be able to make their own pattern thus showcasing what they learned. Extend your travels now across the world to Europe as you hop on the back of a moving train and learn to sort items and build your vocabulary. Applicable2U was really impressed with this first class passenger experience. Developers included a number of support features that we really found useful. For example, it integrated in the upper left hand corner a “wifi” like symbol that when tapped repeated missing directions and visually explained the necessary sorting order as well. Through tapping of objects, reinforcing key words like “the largest, the smallest, and medium”, and color coding for answers that are correct or incorrect, children are guided and supported from beginning to end. When necessary such features can be turned off as users become more comfortable with the content and skill. Applicable2U gives Caboose two thumbs up! It meets our approval for gaming with a reason. With a very interactive and engaging design, your child will be learning and having fun at the same time. If you would like to learn more about AtReks and the other educational apps that they have available, please visit their website here. With a simple $1.99 download, Caboose can be added to your iTunes library by clicking here. Recently Applicable2U was introduced to developers, Progressive Education. The members of Progressive Education make up a team of early childhood psychologists and communication clinicians. With their expertise, they have developed an educational app that can guide a variety of learning needs. At the beginning of this year, they recently launched a toddler/preschool app called Oolly App. For a simple .99¢ download, children as young as 2.5 years old will work on sorting various real world items as they build their “filing cabinet” of vocabulary words. In doing so, they will also be practicing and/or improving their fine motor skills. It was designed specifically for an iPad device running iOS4.0 or later. As we see more and more “little fingers” using some form of a mobile device, Applicable2U loves finding educational apps that make personal connections academically and socially. When my son was younger he was obsessed with a fairy tale television show called Dragon Tales. Upon entering the main menu of Oolly Apps, this memory was immediately fresh in my mind. Main character, Oolly reminds Applicable2U of the friends in this show. Currently, Oolly App consists of one interactive, educational game: Sorting. However, you will notice two additional games coming soon, and two unknown games but will be made available in time. In talking with the developers, the new games will reinforce the development of a users fine motor skills. Our big question is…..will the new games be free upgrades or will it only be made available through an in-app purchase? 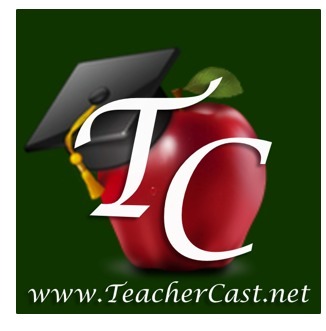 There are a number of features that Applicable2U likes about this educational app. With the wonderful resolution of the iPad device, those viewing Oolly App will notice the sharpness of the graphics. Whether your toddler is manipulating on their own or with an adult, navigation of the app is clear and concise. It provides users a great deal of visual and verbal reinforcements. As it integrates the use of large buttons, all hands will be able to make successful choices. Happily, children will want to play in Oolly’s dollhouse like home. Users can choose to play in the bathroom, kitchen, bedroom and even the great outdoors. A note to the developers – as a parent of a young child that uses a variety of Apple devices, we love educational apps that do not have advertisements or pop ups. With hands that sometimes “click to click” just to see what will happen, buttons like Facebook or Twitter may not want to be options that we give our children to tap. Might it be possible to put this information in the About section of the application. Prior to playing, parents and their children will want to view the Help section. It is here that players will watch a brief video on the unique pinch motion that is required in order to sort or group items within each room. Whether you are the adult exploring or the target audience that is building, learning and having fun, practicing this pinching motion maybe a challenge. Regardless of which room you choose to visit, the pinching and movement skills of more than 70 new words/items will certainly come over time. Once the item has been pinched correctly, Oolly will then announce what the item is and can then be moved around the room. Unsure of where it goes? Don’t panic, Oolly will magically appear and will point you in the right direction. If your little one thinks they know where it belongs and it happens to be wrong, children are not negatively reinforced, items will just bounce back. Those items correctly placed within the room will reward the young sorter with something virtually yummy, an ice cream cone. In the lower left hand corner there is initially an empty ice cream cone shadow. With every correct answer, this empty ice cream cone will suddenly fill up with all the fixings. Be sure to visit rooms inside and out multiple times. Each return visit will share new vocabulary as it provides repetition as well. Overall, Applicable2U would give Oolly App two thumbs up for its academic purpose and skill. On the go, your child(ren) will help Oolly organize his home, while at the same time beginning to plant the seed towards larger topics like recycling and multiple language development. As they sort papers and plastics in the palm of their hands, you might just see them making connections to their own lives. Children at this age are like sponges, extend this application one step further as they learn another language: English, French, German and Spanish. We are looking forward to those “coming soon” apps that it will provide in the future as well. If you would like to learn more about Progressive Education, please visit their website here. In need of developing ones fine motor and early mathematical skills, then begin downloading Oolly App from your iTunes library here. Is your playroom a huge mess? Do you have storage baskets of some kind ready to be used, but they just are not getting used? Do you want to help encourage organizational skills with your son or daughter? If you answered yes to any of these questions, then you will want to add SimpleSort by Kids And Beyond to your Apple device. Not only will the exploration and implementation of this educational app support your at home need, but it will also be meeting a number of mathematical benchmarks at the kindergarten to pre-first grade level. Designed specifically for your iPad device running iOS 3.2 or later, SimpleSort can be experienced in both English and Spanish. Come meet animated friends, the Clever Clouds, as they have made a big mess and they need your help. With very clear and concise directions, cleaning up could not be more fun! Upon entering the application, users will be introduced to two adorable helpers, the Clever Clouds. With a brief story to share, the clouds have accidentally knocked over their buckets. They don’t know where everything belongs and they could use your experience of sorting familiar items that you have in your own home, school, refrigerator or yard. Whether you get to play with Mr. or Mrs. Clever Cloud, sorting can take place in two ways: untimed or timed. User can choose from 13 pictured buckets ranging from nature, people, shapes and instruments to name a few. Depending on your level of understanding of items, vocabulary or visual preference, users can categorize up to six buckets or as few as three. Once 3, 4, 5 or 6 buckets have been chosen, your support is now needed by the Clever Clouds. Immediately both parents and children will notice that the sorting page is visually appealing. At the top, sorters will see those buckets that they chose, underneath they will see items that needs sorting. Graphics are eye pleasing, however, if a player is unaware of an object, they can tap the item and Mr. or Mrs. Clever Cloud will identify unknown objects for repetition and cognition. If you and your little are looking to learn a second language, then this feature will certainly come in handy. The objective of the game is to drag and drop each item back to where it belongs. While playing in the untimed mode, there is no cause for frustration. As you use your fine motor skills to navigate each item, incorrect drops simply return back in line, whereas a correct answer drops items into the basket and disappears. Once all items have been sorted, you will earn a magical star. A note to the developers – as “sorters” finish a game, might it be possible to have a button that would return players back to the baskets page rather than the main menu. If a user decides they want to change language, then the blue backwards arrow could be selected. If you are up for a personal challenge, then be sure to select the timed mode. In this mode, your end score will posted on a scoreboard that is broken down into the different sorting combinations: 3, 4, 5 or 6. With return visits, try to improve your score within each bucket combination. How quickly can you sort and categorize? Overall, Applicable2U gives SimpleSort two thumbs up! It is improving a number of necessary mathematical skills, while it encourages fine motor skills, as it develops a wide range of vocabulary and awareness in multiple languages. It certainly meets our criteria of gaming for a reason. If you would like to learn more about Kids And Beyond and those applications that they have currently in the App Store, please visit their website here. If you would like to begin encouraging a playful way to sort, then click here to download SimpleSort to your iTunes library today for only .99¢.